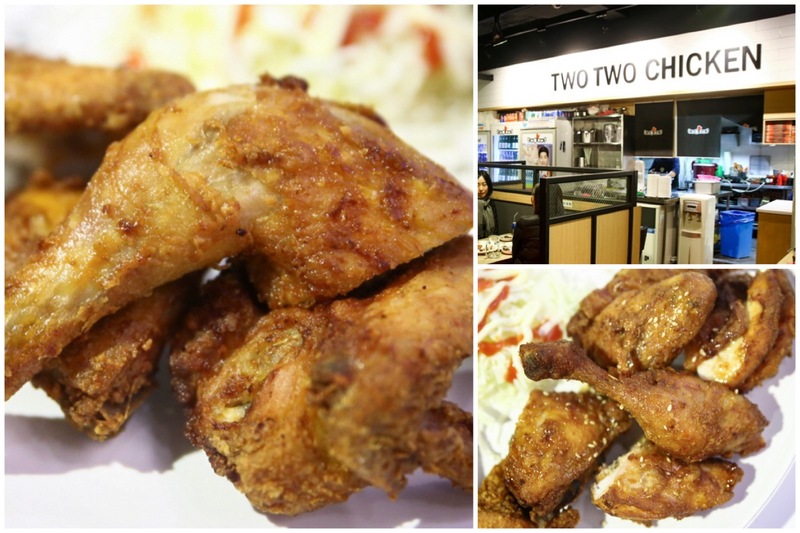 [Seoul] Two Two Chicken is one of the most popular Korean Fried Chicken shop in Seoul with possibly over a hundred branches. is known for its special frying pressure machines, batter, and secret sauce. 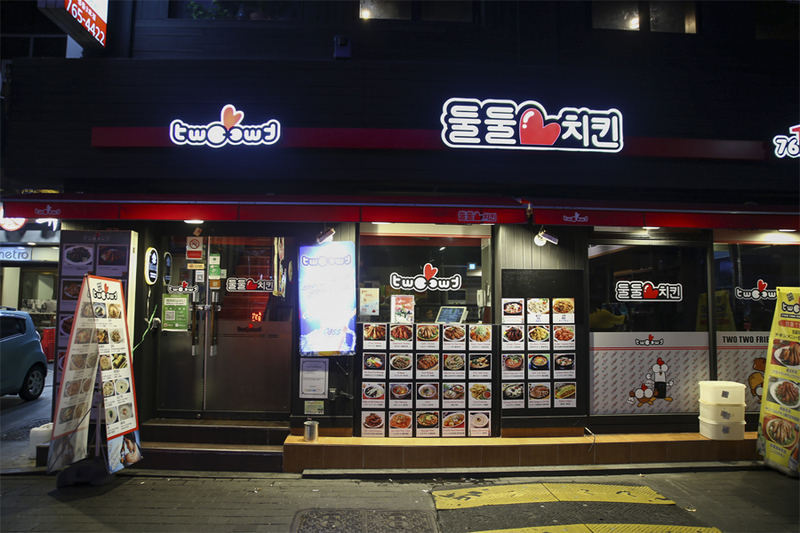 I found a branch in Myeongdong, which is one of the busiest places in Seoul – good to go late-night shopping after. 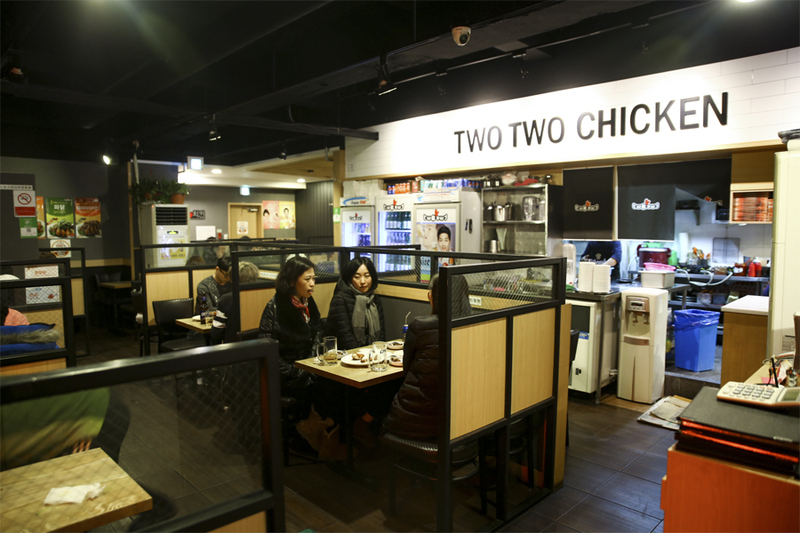 Although this is one of the biggest food outlets in the city, Two Two Chicken in Myeongdong has a family-friendly vibe with no uniforms and a laid-back atmosphere. The interior was quite simple, no fuss, an eat-and-drink-and-go place. 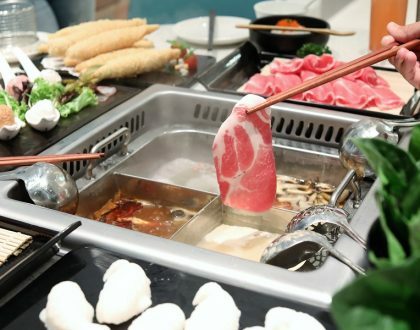 While the focus is on Korean Fried Chicken, the menu is extensive with other offerings of Hot Stone Pot Bibimbap, Bulgogi, Shin Ramyun, Noodles with Black Soybean Sauce, Cold Buckwheat Noodles, Fish Cake Soup, Seafood and Green Onion Pancake, and even Udon. I think this is to cater to the tourist crowd who are more inclined to order a variety of Korean staples. 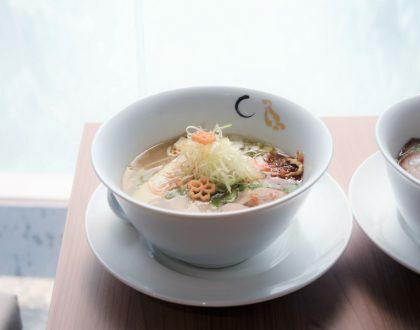 The menu also includes English, Chinese and Japanese descriptions. 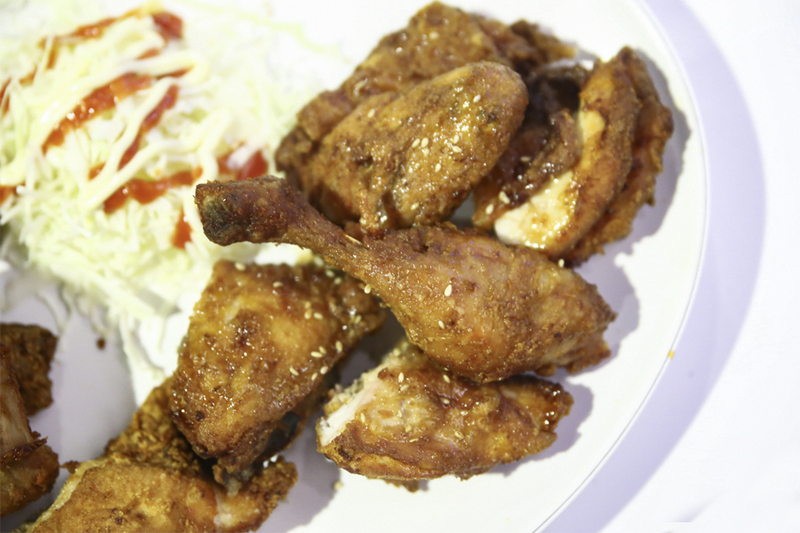 The Fried Chicken items include Fried Chicken (17,000 Won, SGD$21), Marinated Soy Bean Chicken (17,000 Won, SGD$21), Teriyaki Chicken (18,000 Won, SGD$22.30), Garlic Chicken (17,000 Won, SGD$21), Green Onion Chicken (19,000 Won, SGD$23.50). Portions are big. So’s the price. Thankfully, they had a half-and-half set (18,000 Won, SGD$22.30) so I was able to try both the original and seasoned flavours. 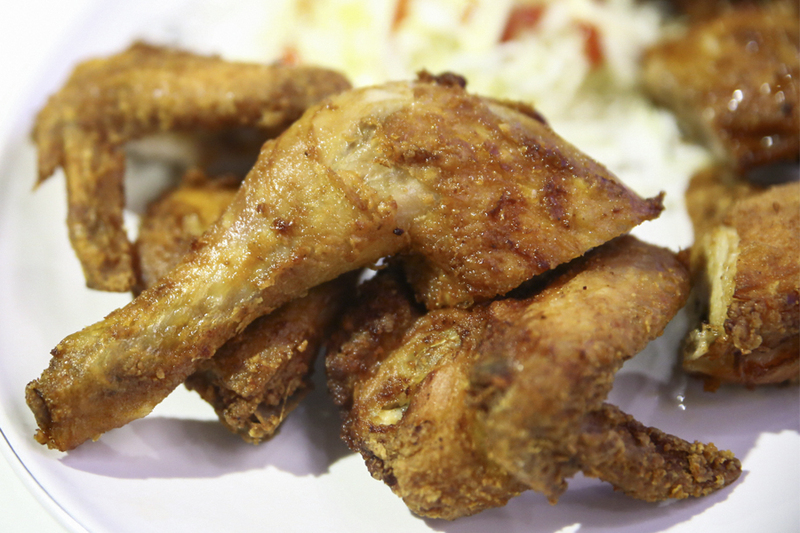 The Original Fried Chicken was somewhat flavorsome, and juicy on the inside, but wasn’t as crispy on the outside as I would have expected. 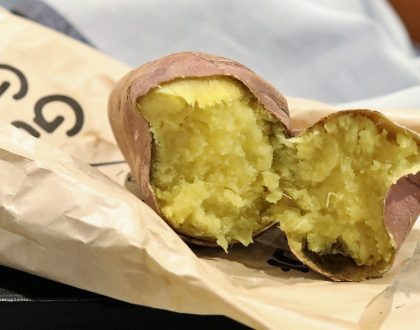 Would have liked to experience the crunch, but perhaps this wasn’t its style. 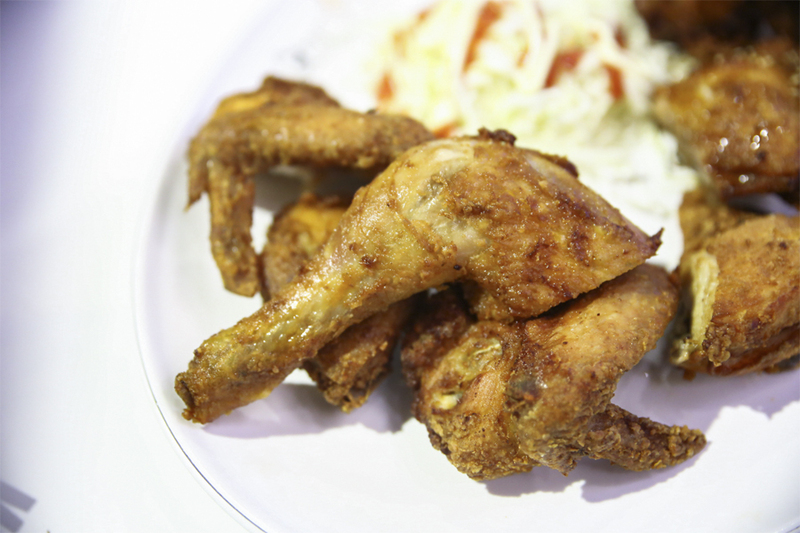 The same went with the seasoned fried chicken as the skin was not that crisp, and some parts of the chicken were dry – for Korean Fried Chickens standard. 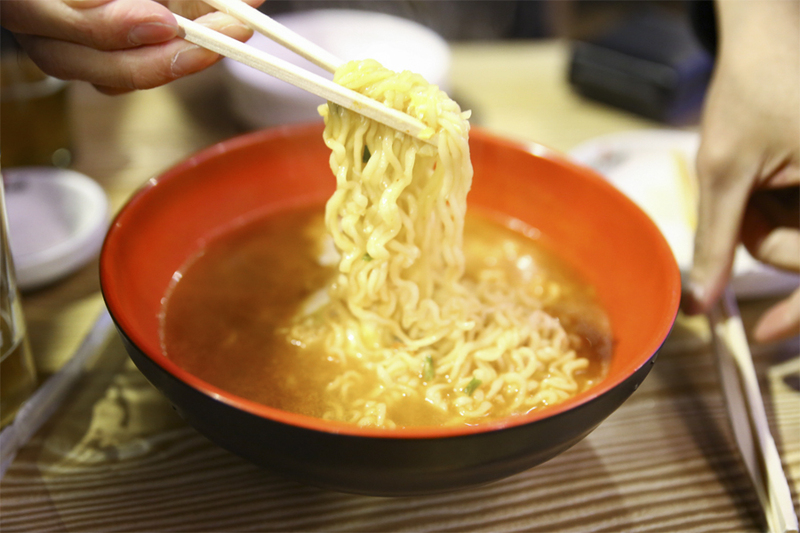 Feeling unsatisfied, I also ordered some Ramyum (6,000 Won, SGD$7.50) – comforting in the cool weather, unfortunately diluted and lacked the usual oomph you would get from instant noodles. 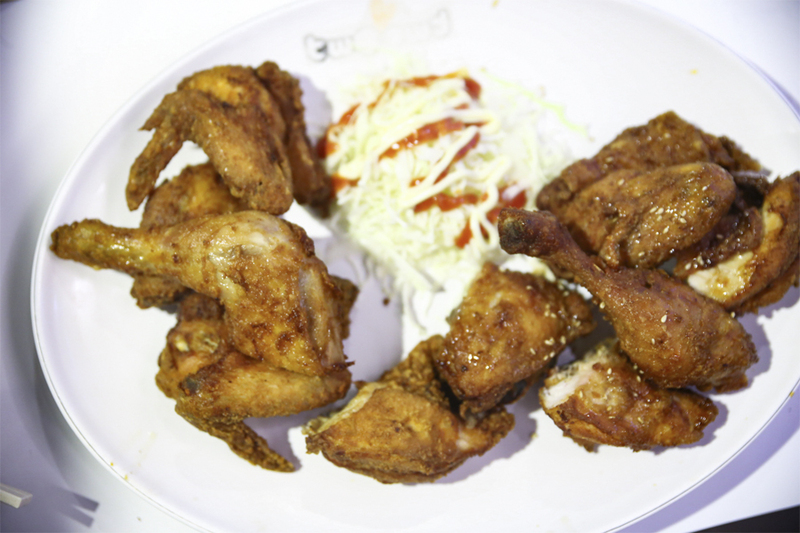 Two Two Chicken managed to attract sizable crowd of diners due to the brand, the large offerings, and the tenderness of the chicken. I suspect the consistency between branches could differ though.